So, this is actually a post that has been a long time in the making. I’ve been back-logged a bit on posting this one. Did you know that’s why the call a blog a blog? Blog just stands for Back-logged. Anway, bad joke. So here’s the background on this post. A majority of the pictures and tales come from Kass’ and my journey up here in August. We visited the park then as part of a trip to the Anchorage region and is the part that I’ve meant to write about for some time. 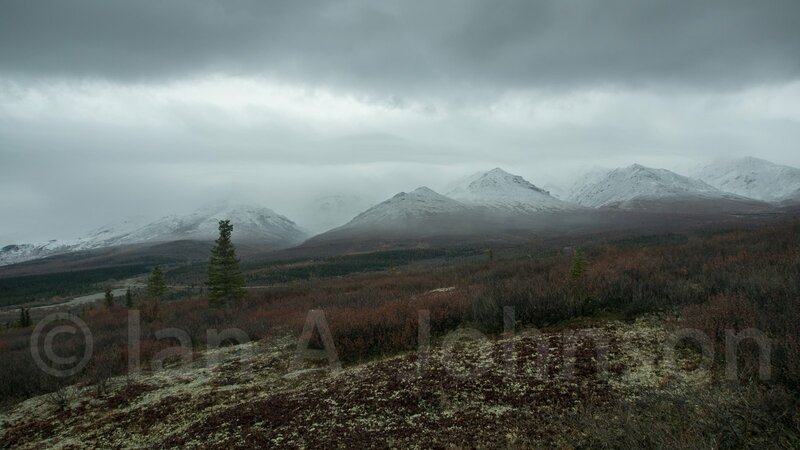 The other part of the descriptions and pictures come from a field trip I took to Denali the last weekend in September to observe moose rutting behavior. And then, to top it all there’s some events observed outside of the park that were cool and noteworthy, so there’s some pictures of that too. So, here we go! When Kass and I got to Denali we were in for a big surprise: you cannot pass mile 15 of the park road with a personal vehicle. I had no idea a national park would restrict access like that! So, the only resaonable way to get in is on the tour buses and those trips had varying different lengths along the road. We decided to take the Wonder Lake bus tour which was 10 HOURS on the bus, but did bring us into the park almost as far as you can go. I will just say now that, although a 10 hour bus ride is long, and we didn’t get to stop at destinations long enough to truly appreciate them, we both agreed that we were happy we made it all the way into the park even as just ‘tourists’. I certainly have plans to return there with a bike and trek the entire park road. Hopefully whenever ‘summer’ comes here again, not likely until July. So, without further ado, here’s a short natural history, based on my learning, of Denali National Park. I will be grouping the different aspects of the park visit in the blog rather detailing each mile. Of course there is one really big reason to go to Denali national park, and that’s to see Mt. 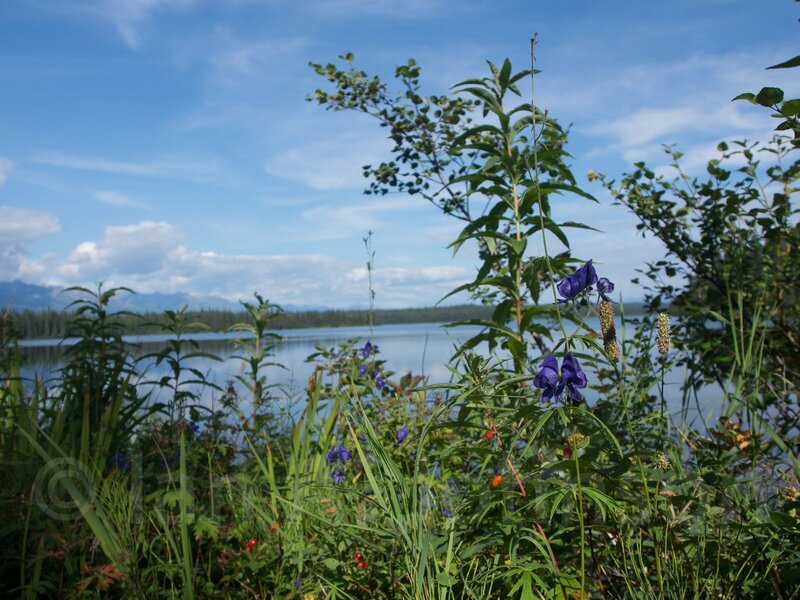 McKinley – also known as Denali. Denali is Koyukon Athabaskan for “The High One”. It is the largest peak in North America and rises up over 18,000 feet from the base to its summit. The rise of Denali is what makes it so extraordinary. However, not a large percentage of the visitors in the park each year actually see the peak as it hides behind clouds often. We actually found a day when the sun broke through the clouds and we could see it! For us it was a fortunate break, as the weather had been cloudy the days preceding our trip, was cloudy most of the day we were on the trip (except for the 1 break) and was cloudy after that. I guess we were meant to see it! Denali. We were fortunately to see it!! Here you can still tell that there is a fair amount of haze around the summit. We are still well over 50 miles from the mountain at the time of this picture. 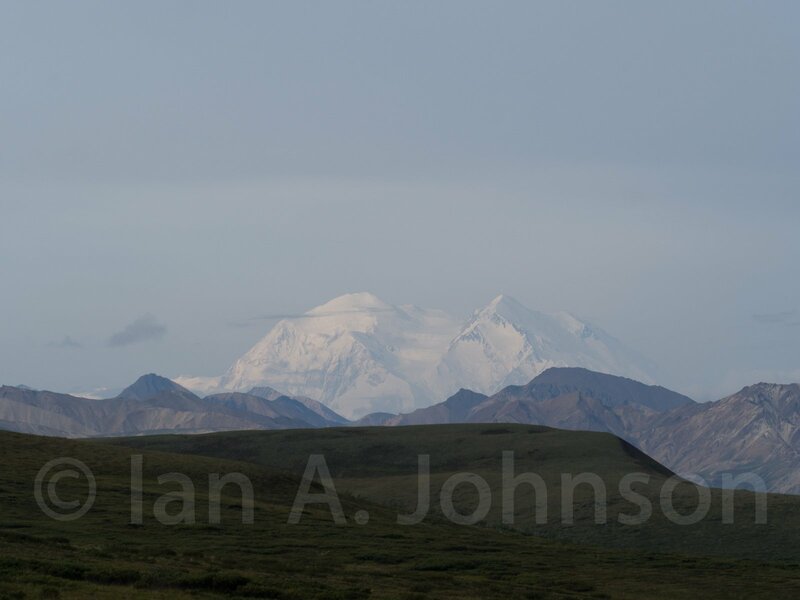 Of course there are other mountains within Denali National Park as well. One of the other noteable ranges were the polychrome mountains. The Polychrome mountains are a part of The Cantwell Volcanics and include basalt and rhyolite flows (Wikipedia),There were quite colorful. Although, I must say that the panorama could do them more justice. There are many, many good pictures of the colors of these mountains online. If you are interested be sure to check those out! Think rainbows + mountains. I guess you’ll have to see them for yourself! The polychrome mountains of Denali National Park. They are aptly named! Of course the look and feel mountains can change rapidly! Here are pictures from September 29th in the Savage river valley area while I was there for a field trip. Snow covered mountains were layered in fog and clouds. The reds in the front of the mountains was stunning. While we stood there snow started to fly and it continued throughout the night into Sunday morning. They closed the park for the season due to the snow on Sunday, so we were fortunate to get in when we did! A closeup of just one of the peaks in the Savage River Valley area. 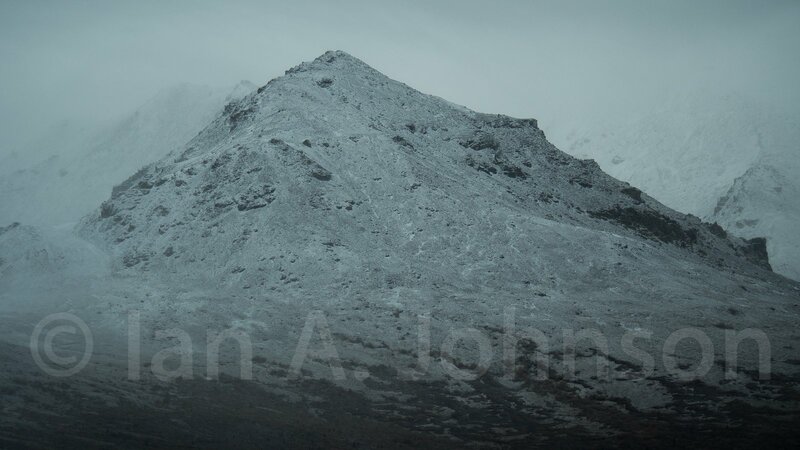 This peak was shot at 300 mm. A changed landscape! The mountains were shrouded in fog and covered in snow. A big change from just a month prior! 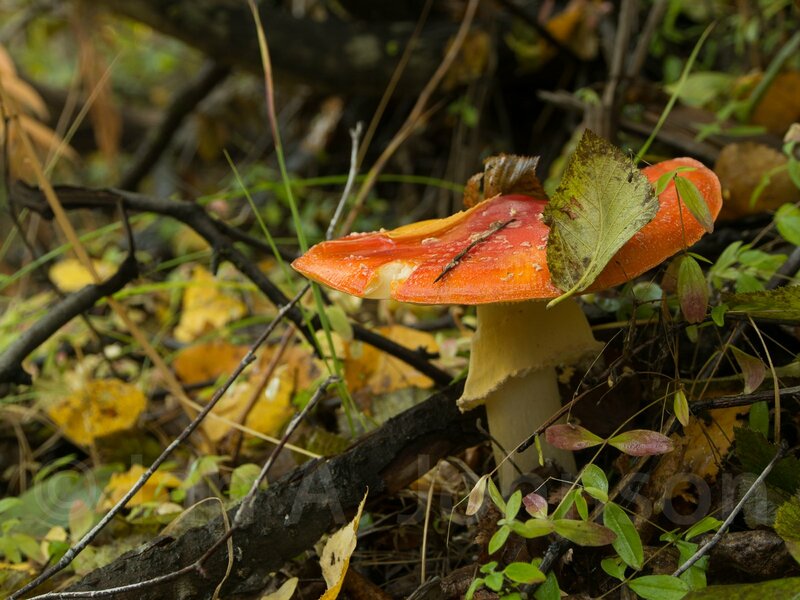 Denali national park is renowned for its wildlife. Part of that renown derives directly from the restrictions placed on tourist traffic- I should quit my griping about long bus rides, as it still beats the throngs of buffalo watchers at Yellowstone National Park. 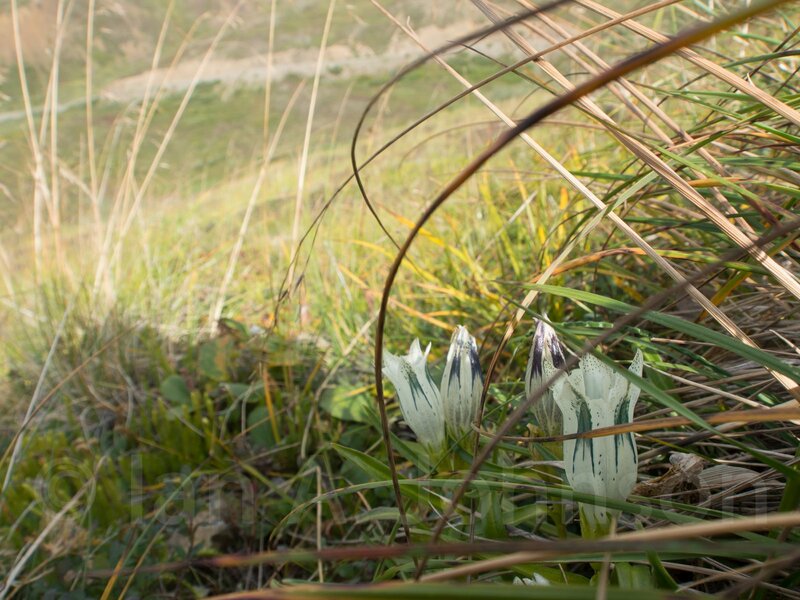 Wildlife in the region thrive due to intact ecosystems and no hunting pressure within the park. Many individuals leave the park boundaries, and can be pursued and harvested at that time. The park has ‘the big four’ of mega-fauna and at any time they may stick their head above a ridge, so observation is essential. Actually it was one of the entertaining parts of the bus ride because we were instructed to yell “STOP!” if we saw anything big. Imagine yelling out bingo because it some ways it was competitive like bingo (who could see it first) and was just as enjoyable. The caveat of the ‘stop’ theory is our bus driver was an older gentleman, named John, and he couldn’t hear well, especially over the diesel bus. So people in the back really had to let him know. Once we were stopped it was an inching game and John did his best to take directions from multiple, camera wielding bus riders looking to line up that ‘perfect’ shot. The rules of the game were to call out anything interesting, but most of the riders there wanted to see moose, dall sheep, caribou or bears. We were fortunate to get all of them. The first of the big four that we came upon was the mighty bull moose. 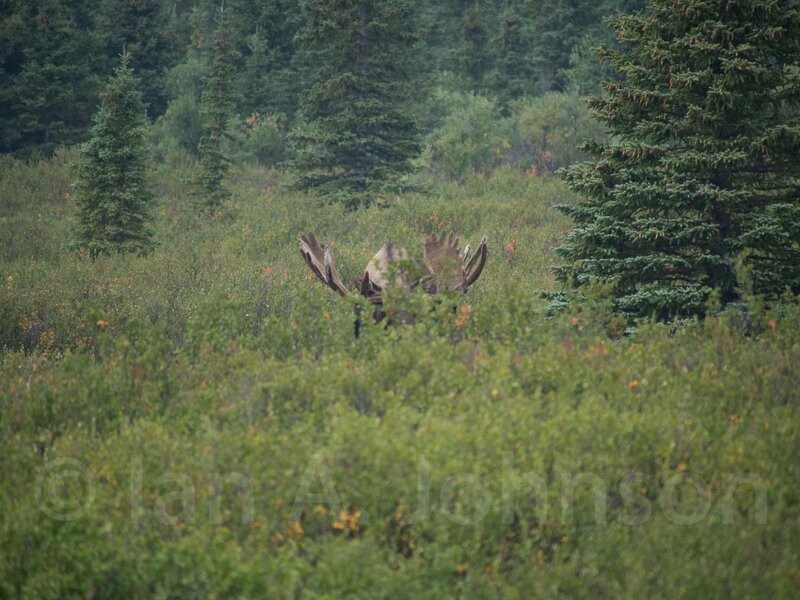 Moose in the park are big due to their protection, and these guys pictured here are no exception! At this time of year the moose were gathering in the valleys for the rutting season. 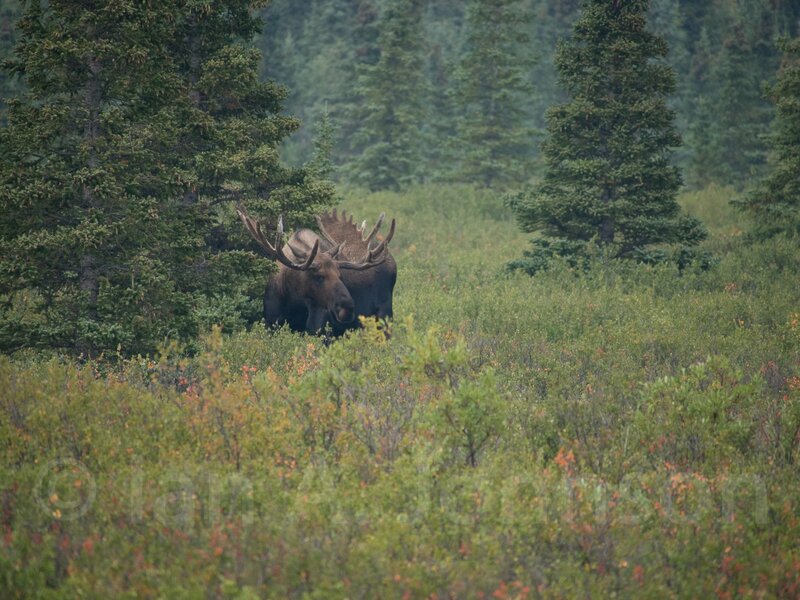 A big bull moose at Denali National Park. Look at those paddles! Just because they are big doesn’t mean that cannot hide! If you were walking on the ground in the Park I’m not sure that you’d be able to see this one! Harems- we saw two different bulls with harems. A harem is a group of cows that will breed with the bull that has won them. The bull may lose the harem to another bull at any time up until the cows are bred. Once a bull starts into the rut it will barely sleep or eat and may loose up to 600 pounds in some of the larger bulls. For instance, my professor talked about an instance where a bull was known to start at 1500 pounds and shrink to 900. WOW! 1-800-94-JENNY anyone? For better or for worse we saw many of these moose from far away – so much for wildlife photographer of the year awards on this trip! However, I did take this one set of a video of a distant, large, bull moose chasing after 2 cows in his harem. I think it gives pretty good perspective on how far away we were and also of some of the scenery. Of note in this video: NEVER TRY TO OUTRUN A MOOSE. I couldn’t believe how fast they were able to travel!! The next in the list of the big four were caribou. We got some really great looks at these animals. I have actually learned some pretty interesting things about caribou. Did you know the females are one of the few (or only??) ungulates to grow antlers? Females actually use them to fend off other females from feeding grounds when calves are present. Lichen, their main source of food, can be a commodity. So it’s important to protect what you have! 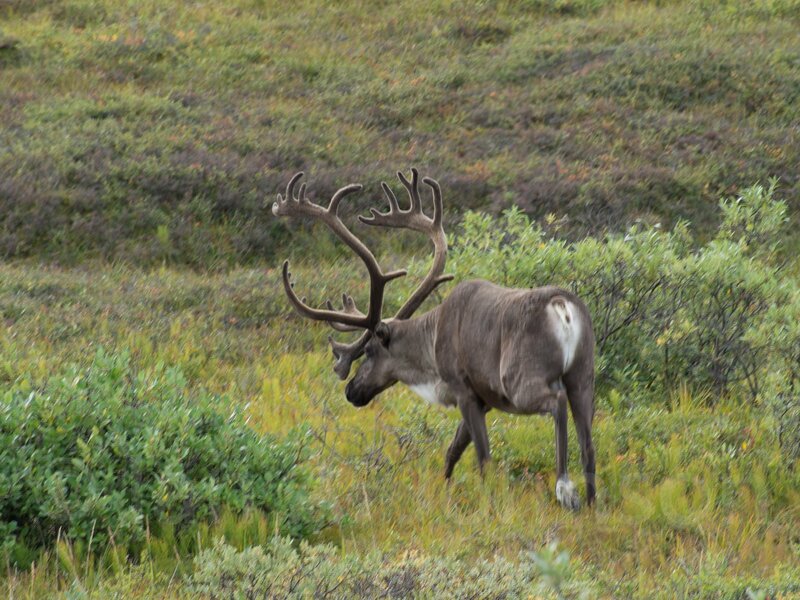 The caribou herds were just starting to travel for the wintering grounds when we were on our trip. 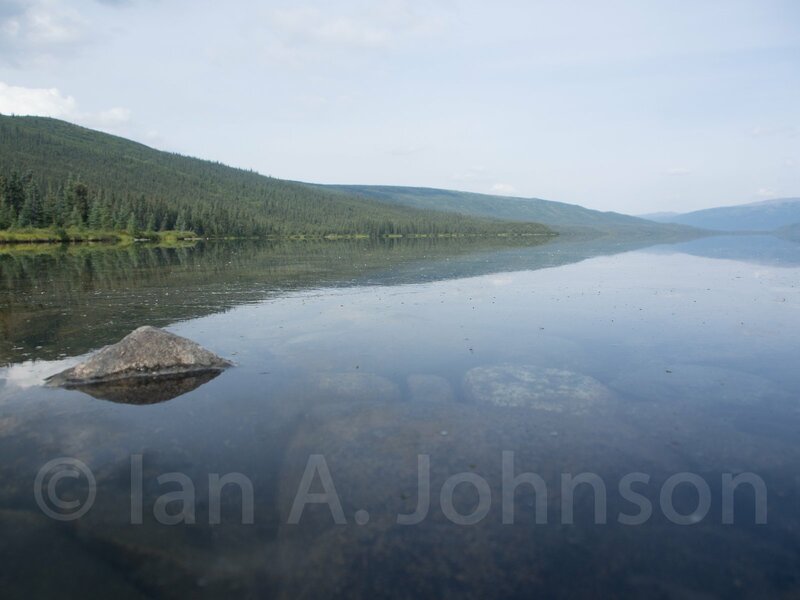 Here is one of the big caribou that crossed our path on the voyage to wonder lake. 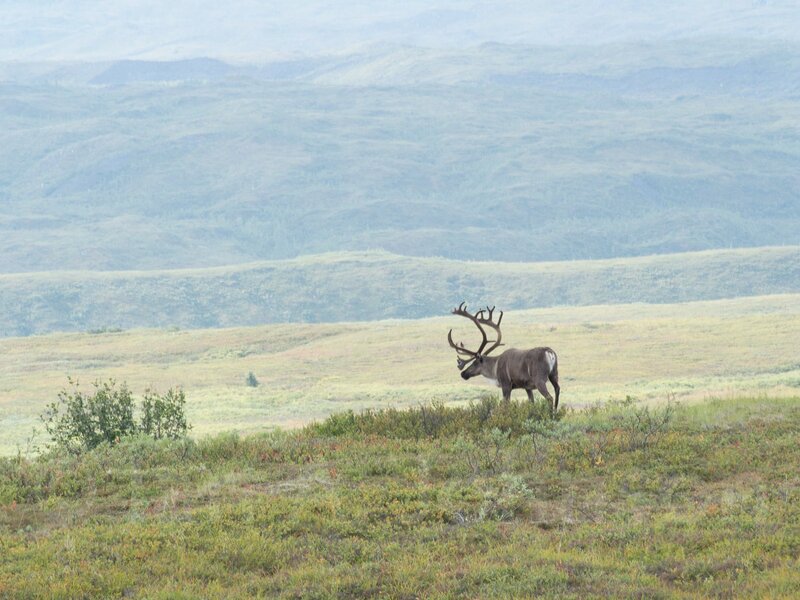 Here is yet another one of the big caribou that crosse dour path. Admire those shovels, but also admire that vast landscape behind him! 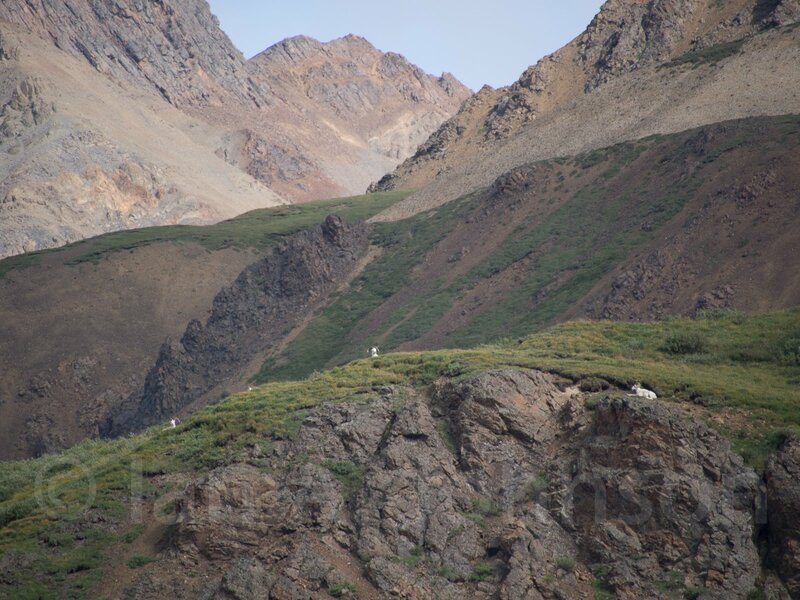 Another one of the big four in the park were the dall sheep. These sheep were actually hunted to near extinction in history past, so it’s great to see them back in large numbers! It’s important to look waaay up for these guys, as they are mountain extraordinaires and are renowned for their ability to cling to small ledges and make dareing dashes up near impossible slopes. They are always shock white and are known for their impressive horn curls. We didn’t get too close to these sheep, so use your imagination a bit on those white dots you see! At least one of them is the ram. Can you tell? To round off the big four I would be reminisce if I didn’t talk about the bears! We got to observe bears two times while on the trip. The first time was very close, and you’ll see that below. It was a lone bear, probably a male, that was foraging on berries and anything else in the shrubs. He meandered up the draw before walking mere yards behind the bus. It’s really interesting being in the bus beause the wildlife has less tendency to ‘see’ you. They certainly see the bus, but that doesn’t really spook them. Bears are a little different though, I don’t think they give a d*** either way. You know what I mean? :p. The second bear sighting was at a distance, but a mother and two cubs were running around and playing with each other on a hillside. 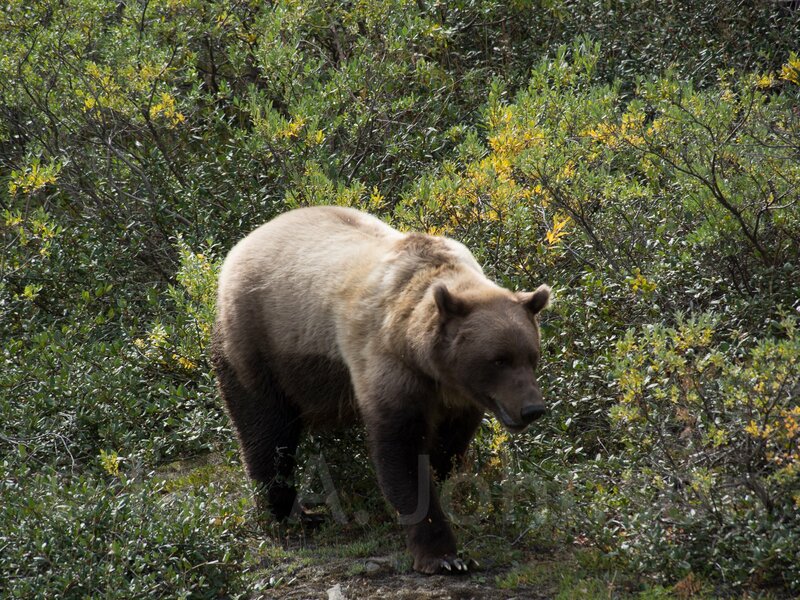 In regards to bears a brown bear is the same as a grizzly bear and both of those are actually the same as a Kodiak Brown Bear. Kodiak’s are renowned for their large size (males in the range of 1500 pounds) but their size is entirely driven by the rich fish diet they get in the Kodiak Island region. 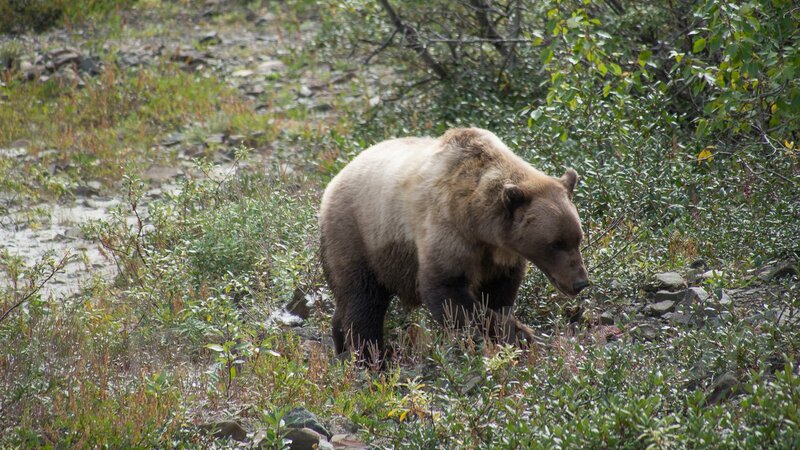 If those same bears were transplanted to Denali they would shrink to Denali size- about 700 pounds in big males. Here’s Mr Bruin. This brown bear was feeding on berries and shrubs behind our bus. He was described as a ‘fairly small male’. Looks biggish to me! More more look with a little different angle at the grizzly bear. Not all of the mammals in Denali are huge. We did come across this fox who was actively hunting along the road. I think he was using the bus to scare up birds, crafty fox! I didn’t see him snag any, but he came awfully close a couple of times. His behavior was to pad along in front of the bus and as birds came out of the bushes to pursue him. He then jumped into a draw which is where he was photographed here, ears perked and still fully on the hunt. 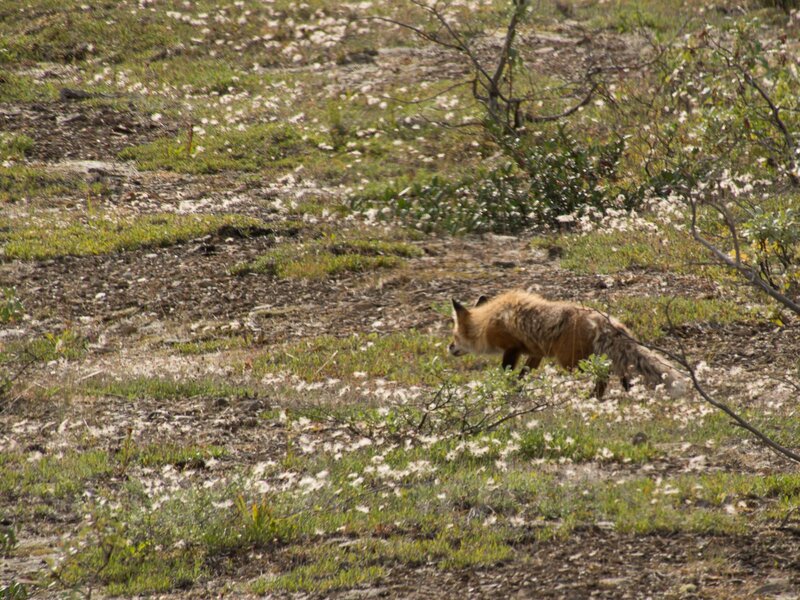 This crafty red fox was using our bus as a diversion when hunting birds. 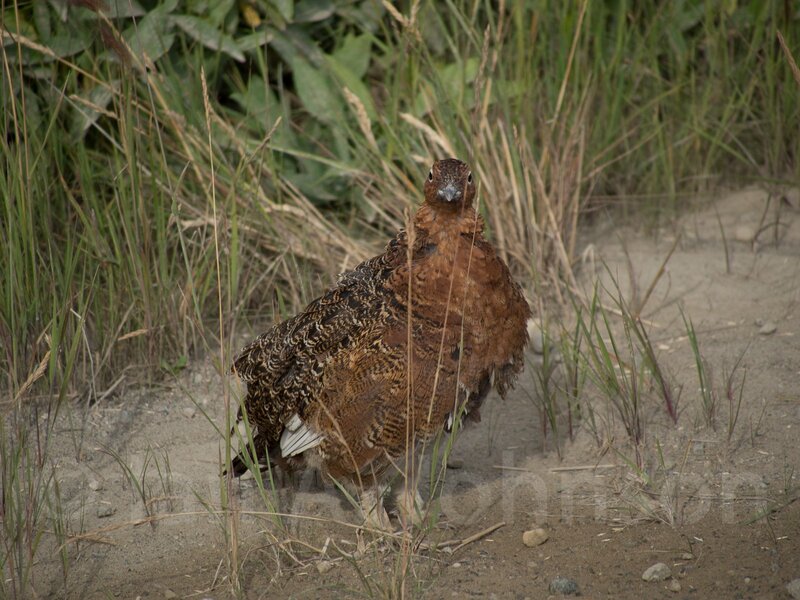 One of the predominant birds in Alaska are the grouse and the ptarmigan. They all can be a bit hard to tell apart. Once you get the grouse vs the ptarmigan you still need to figure out which of the ptarmigan you are looking at, which can be nearly impossible. I’ve found this resource from the AK fish and game. Use it to help me compare the pictures below, and we’ll see if you think I got them right. (http://www.adfg.alaska.gov/static/hunting/smallgamehunting/pdfs/alaska_grouse_ptarmigan.pdf) I won’t put any captions on the photos other than numbers and you can look up the answers below. 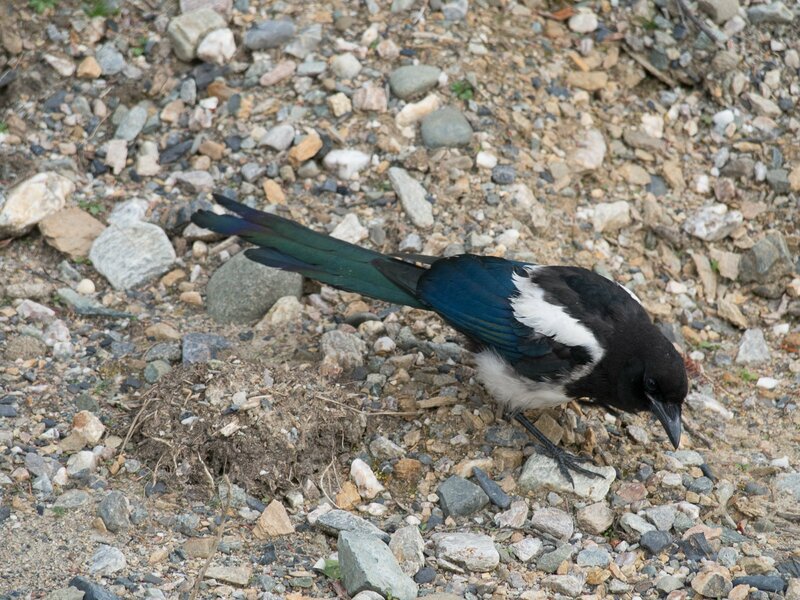 Another one of the birds in the park is the magpie. They are one of my favorite birds for their curious nature and natural intelligence. When I jumped out of the car this one and several others came pretty close looking for handouts. I wasn’t too impressed by that! But was it was nice to have him close for the pictures. They really are a colorful bird, in the right light that tail lights up green as a ‘go light’! 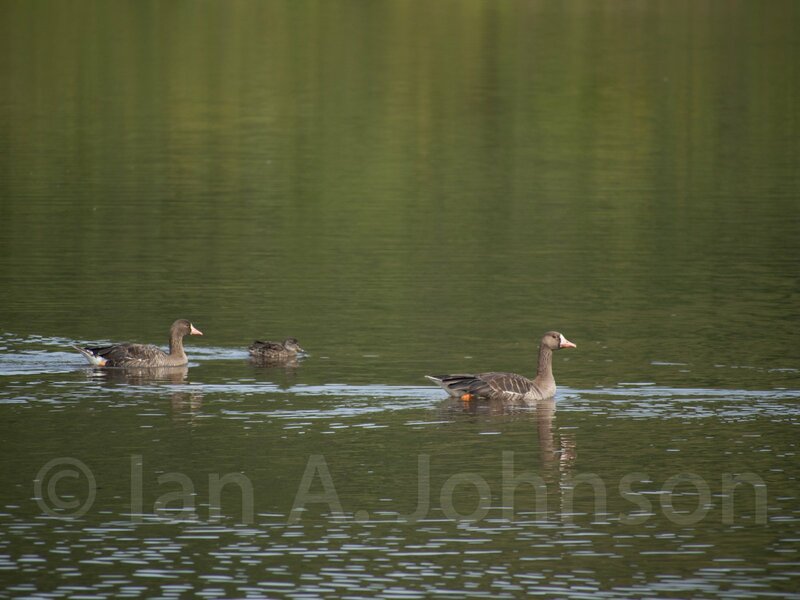 The last bird I wanted to highlight was the white fronted goose. This bird was actually a ‘lifer’ ( I hadn’t seen one before) so it was pretty special! These geese had managed to raise a family on this lake for the summer. I bet they didn’t hang around too much longer after we left the park. Those lakes would have been frozen soon! 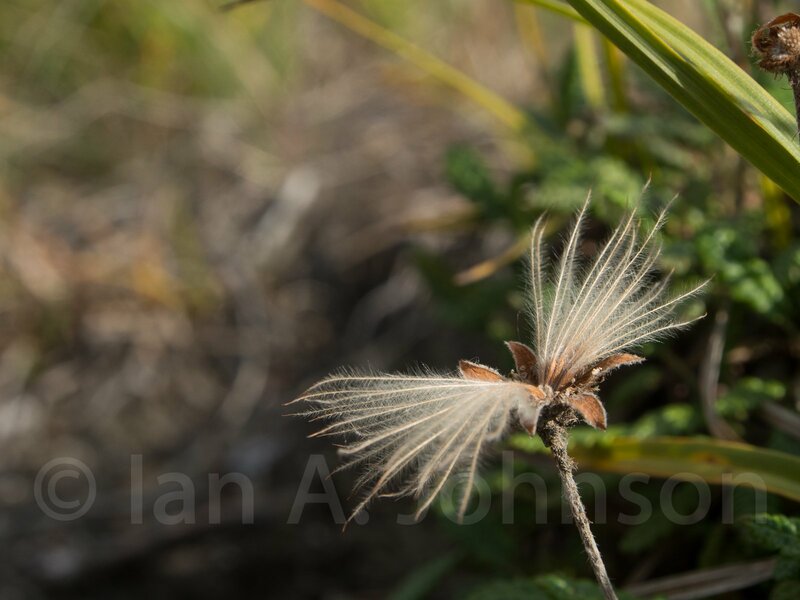 Denali was one of my first exposures tundra plants. I actually don’t have to much to say about these plants because I really don’t know too much about their ecology. Maybe the pictures will tell enough! The best I can give is the name, if you are ready and know some ecology fill me in! IT’S NO WONDER IT’S CALLED WONDER! We finally reached wonder lake at mile 84 (I think, or was it 87?) Anway, it was incredible! The lake stretched out before us and was very calm. Kass set about picking berries and I spent my time hunting for birds and pictures to take. 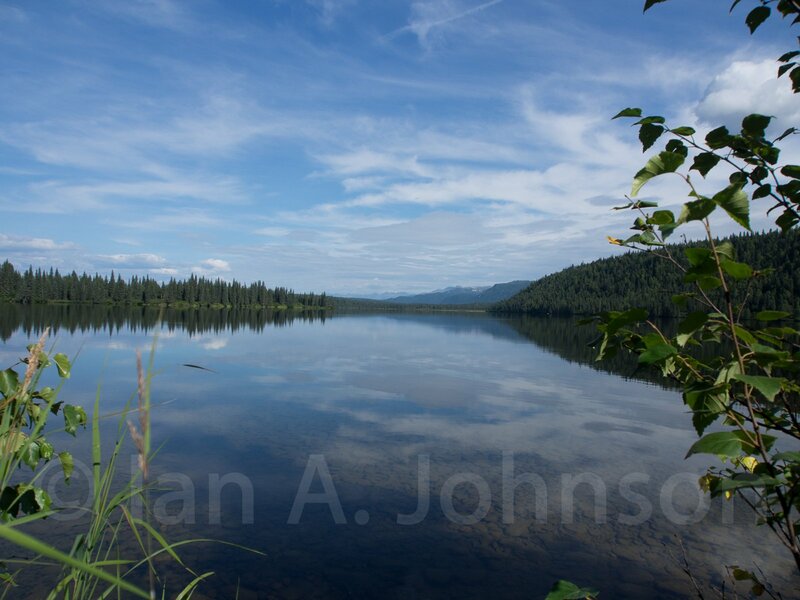 I’m looking forward to getting back to Wonder Lake on my own accord and spending some time there. Hopefully the days can all be be like this one was! This will conclude the Denali section. But a few extra pictures are below from different destinations and species. Thanks for reading everyone!! 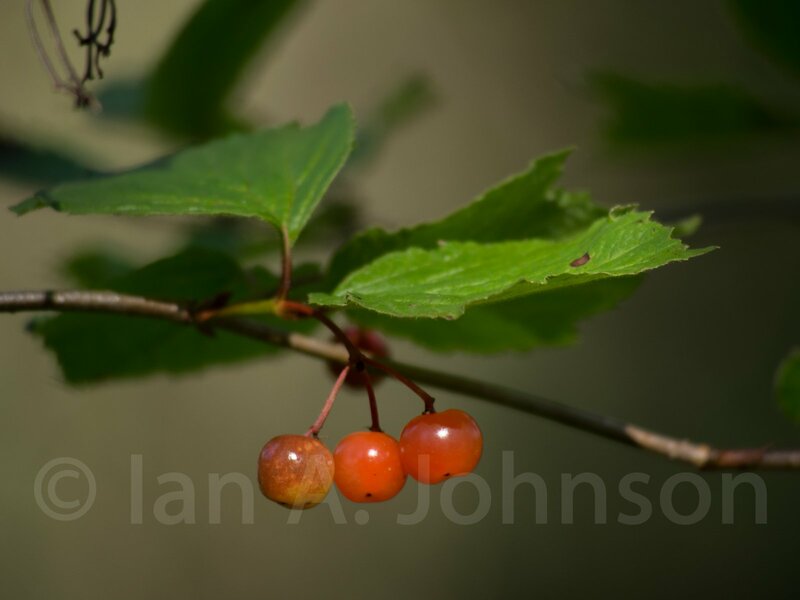 Hi-bush cranberries are a common plant in the woods of Alaska. These tart berries are editlble, and the taste improves as the weather cools off and they freeze at night. They have a pretty big pit, so be ready to spit! Beyer’s Lake State Park. Can’t go wrong with these views! I am always fascinated by mushrooms exploding out of the undergrowth This one apparently had to push pretty hard to make it through this thick moss. I feel I captured this red squirrel at just the right time at Beyer’s Lake State Park. 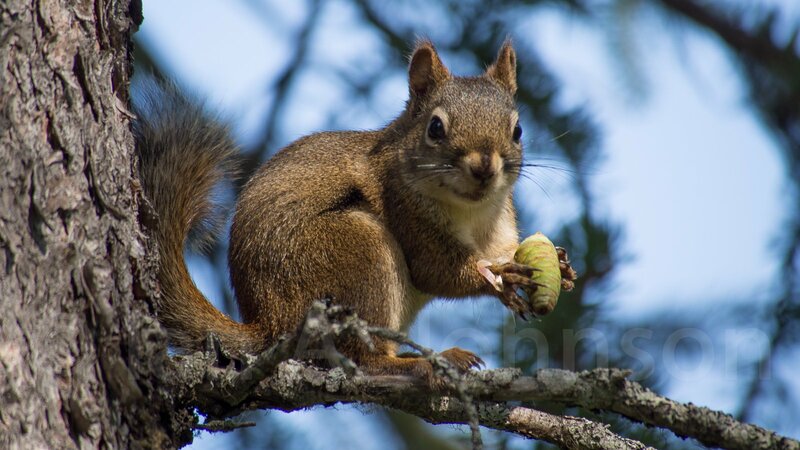 He was chomping on this pinecone and had a see strung across his write. He looks like he’s saying SHOO! Get out of here! I was struck by the royal, deep purple of this unknown flower along Beyer’s Lake. 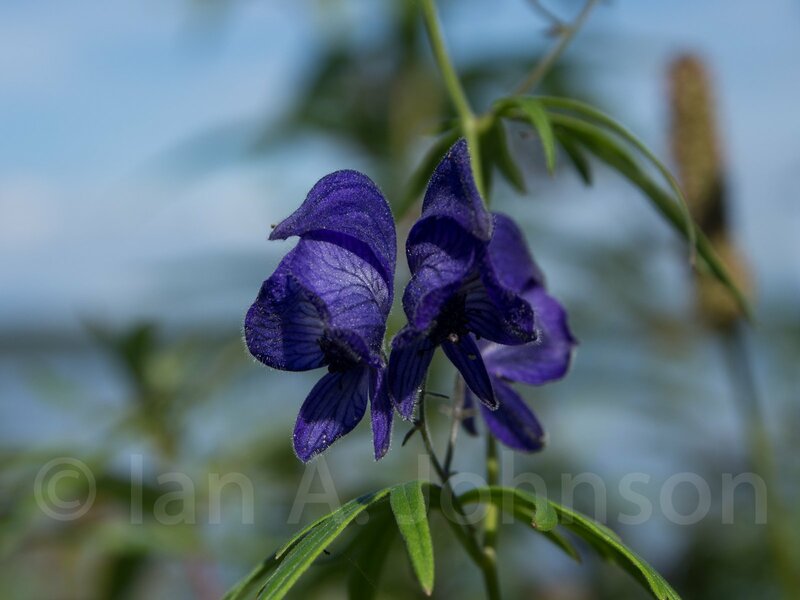 Also, thanks to Reader Justin Olnes for identifying this flower monkshood (Aconitum)!! Beyer’s Lake State park and a view from the end of the lake. I loved the purples and the red of the rose-hips! While in the Anchorage area Kass and I were lucky to observe a strong fallout of warbler. There were feeding in amongst the rocks of shoreline of the ocean (which had a rapidly ascending tide) and also in the fireweed which was common. 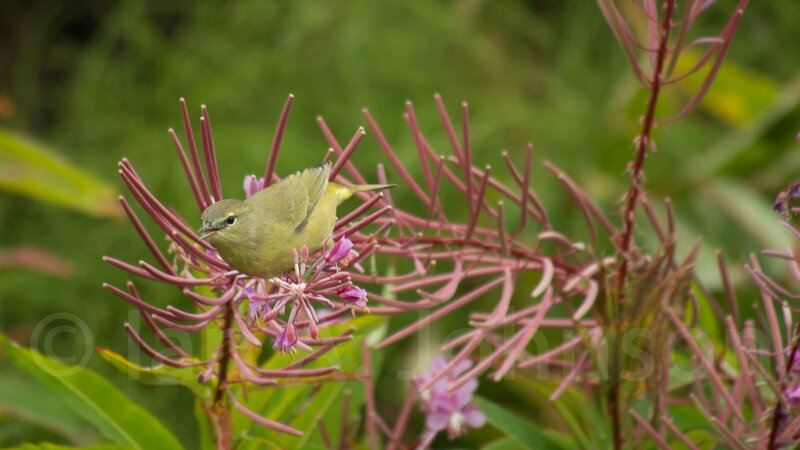 The combination of fireweed with the birds is hard to forget! I believe (but cannot say with absolute certainty) that this is an orange-crowned warbler. Can anyone confirm?? 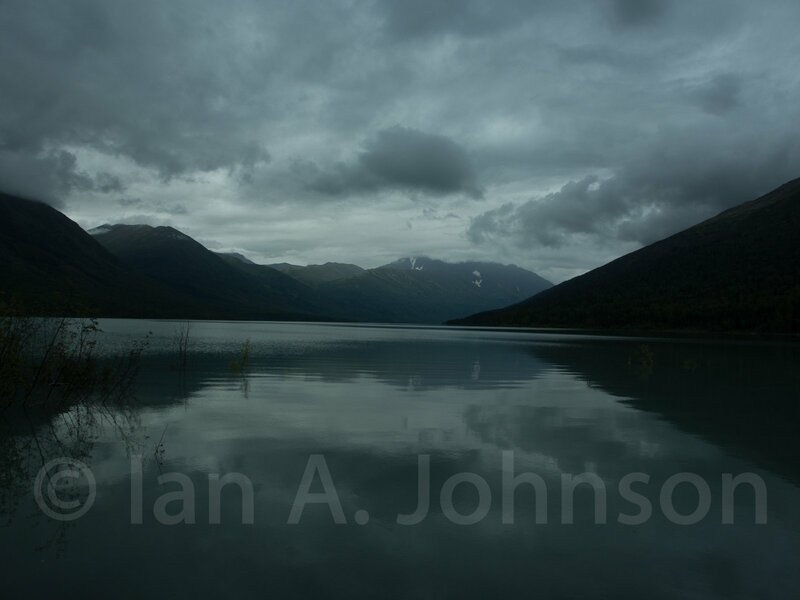 A moody day at Ektulna lake along the way to Anchorage. 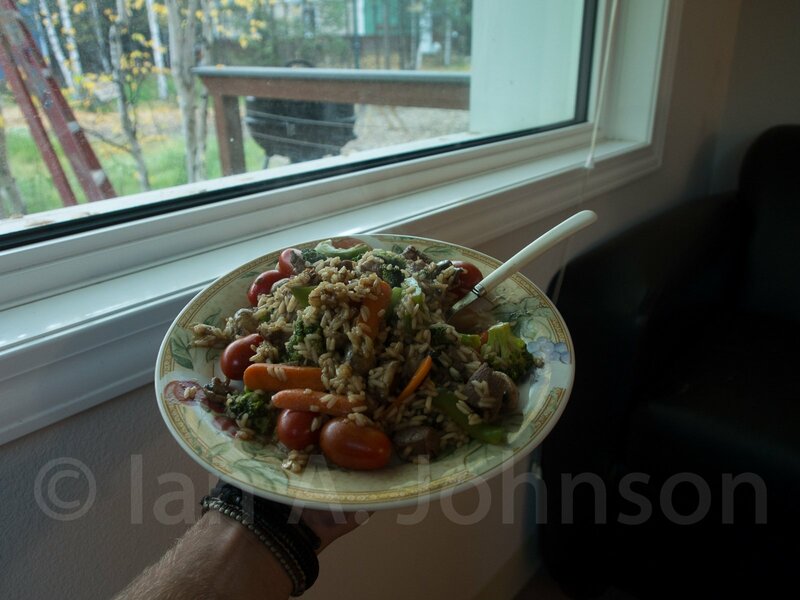 This weekend was my first weekend to get out and enjoy the beautiful fall weather of Alaska. It had been a pretty rainy, dreary week. But at 11AM on Saturday morn the sun broke through the clouds and has been shining ever since! 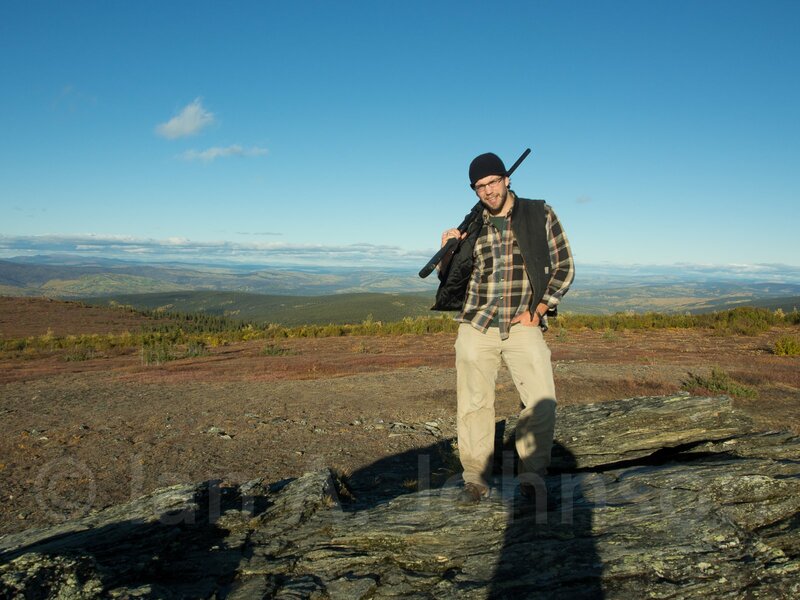 I headed up to Murphy Dome (http://goo.gl/X9dL3k) for some grouse and ptarmigan hunting. I was blown away by the mixture of spruce and fiery birch that were EVERYWHERE. Up here we have the ‘alaskan paper birch’, which is very similar to the white paper birch of the mid-west. 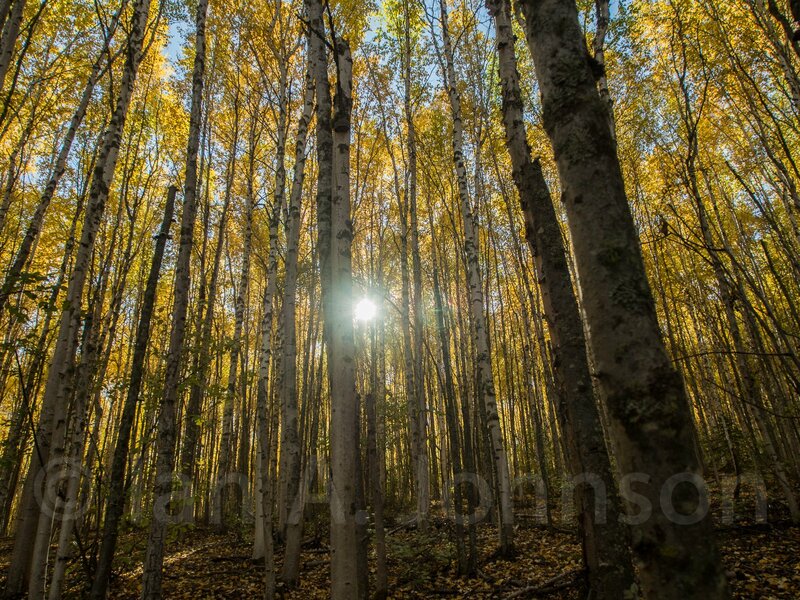 The sun cut through the yellow canopy of these birch. These yellow birch stands are breathtaking and made it hard to drive while constantly looking over your shoulder! 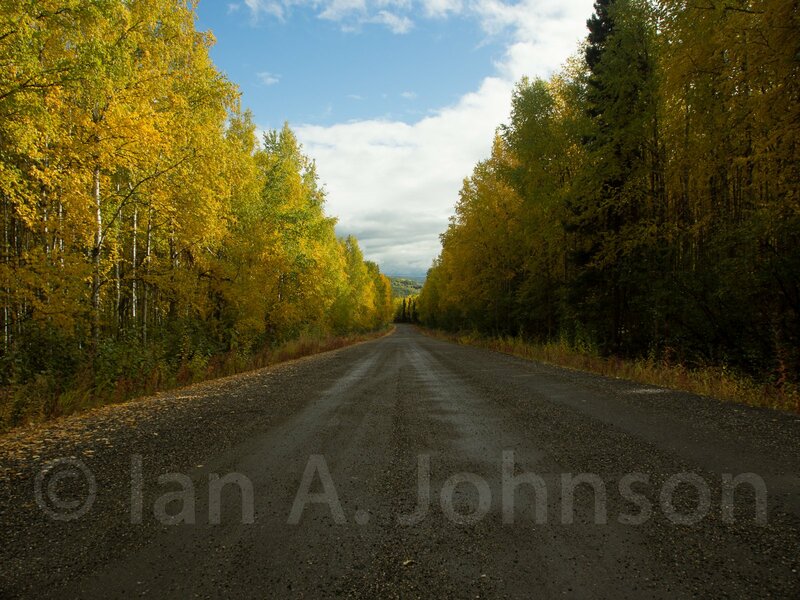 Here are the yellow birches and interspersed spruce trees as I headed up Spinach Creek Road. They provide incredible fall colors! 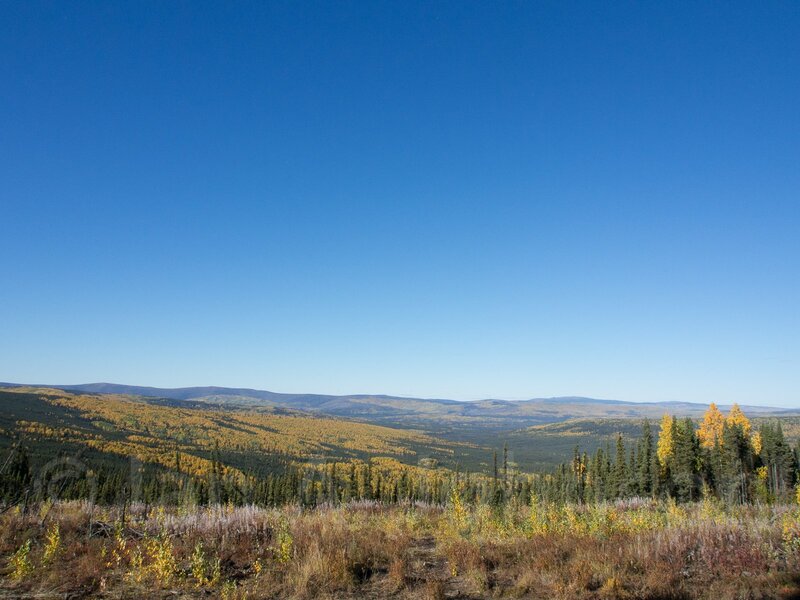 A view of the landscape from Ester Dome. The birches and spruce are incredible. Plus… no clouds! 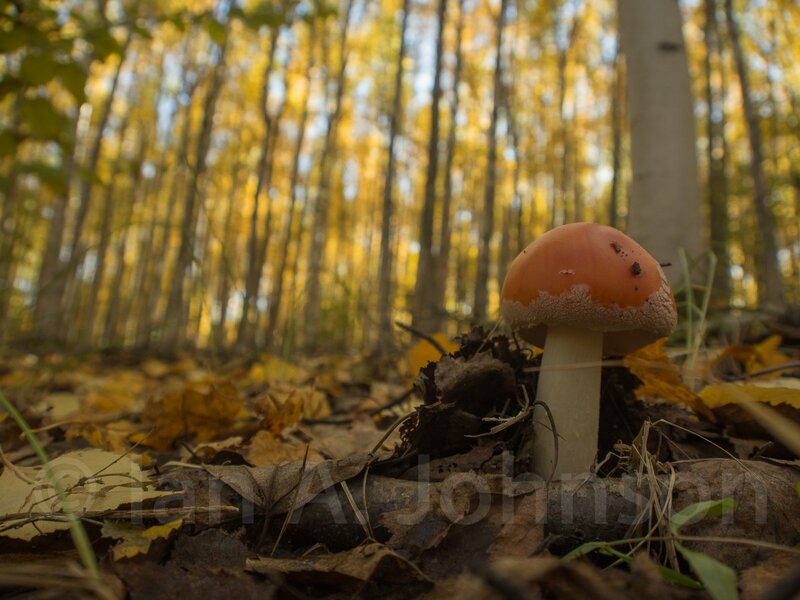 This mushroom is bursting through the fall foilage, boosted by the rain we’ve had in the last 2 weeks. Gotta love the colors! 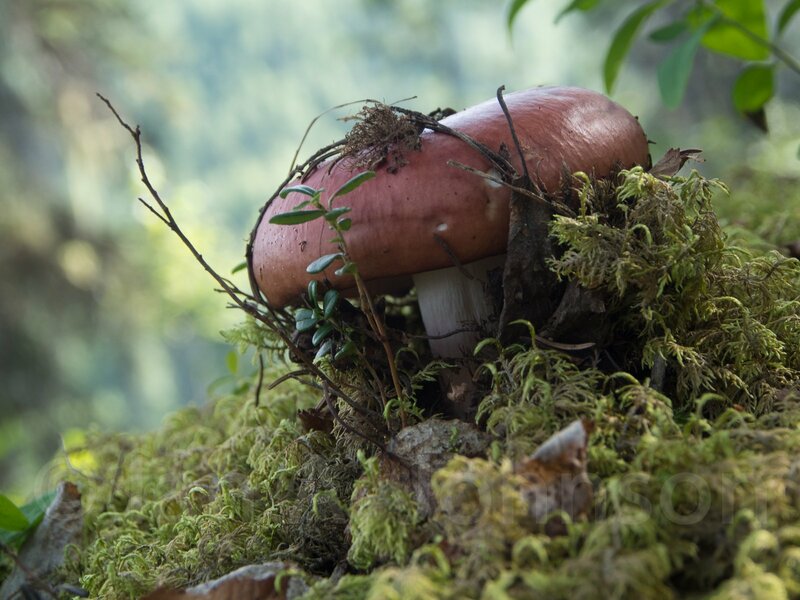 This mushroom hasn’t unfurled its cap yet. However, I bet within 24 hours of this picture it will have. 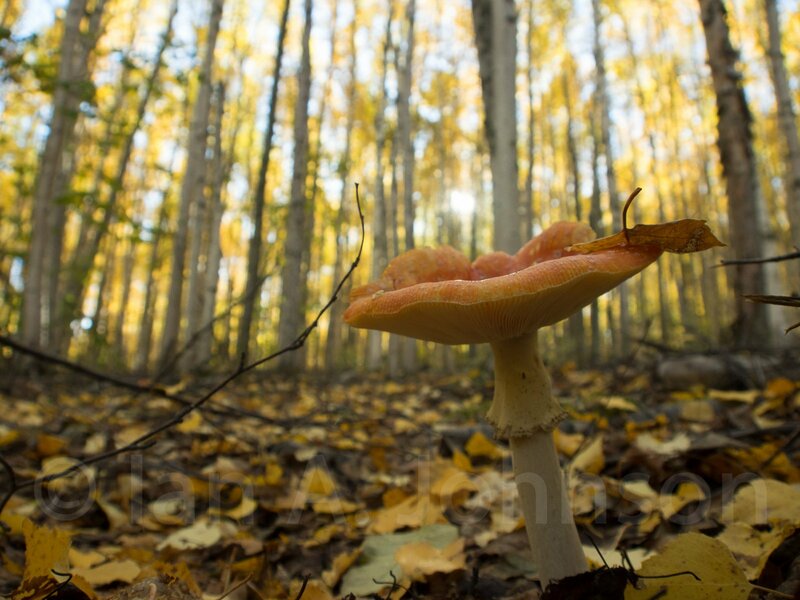 Mushrooms were very common in the birch forests. On more pretty mushroom coming through the golden blanket! Once I got past the fall colors (and it truly is more of a physical barrier than a metaphorical one!) 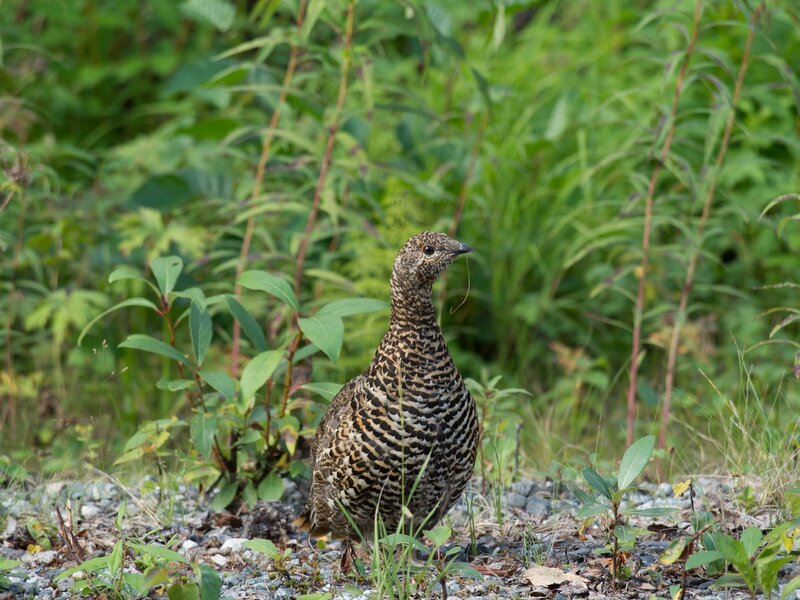 I headed up to Ester Dome region and started to walk around looking for grouse and ptarmigan. 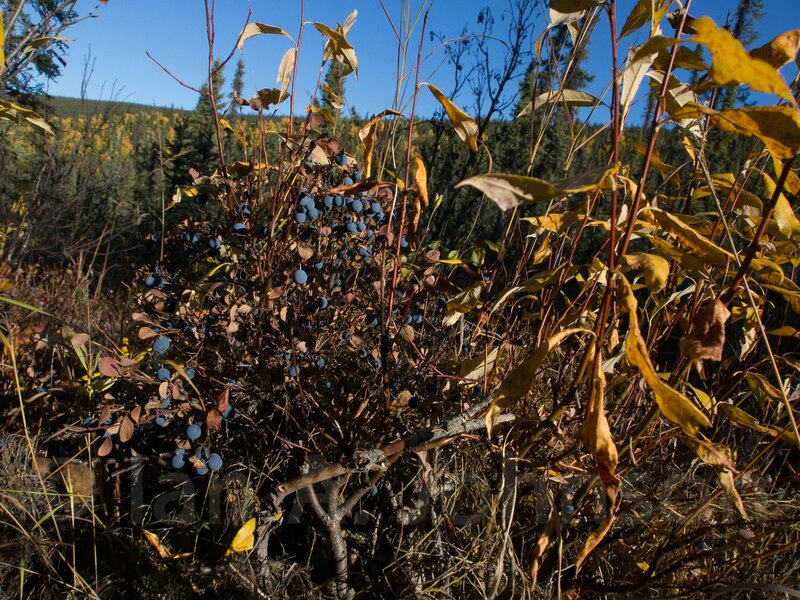 As I headed up a powerline cut I was immediately astounded by the volume of blueberries and low bush cranberries. They were EVERYwhere. I had never seen blueberries like that in my life. 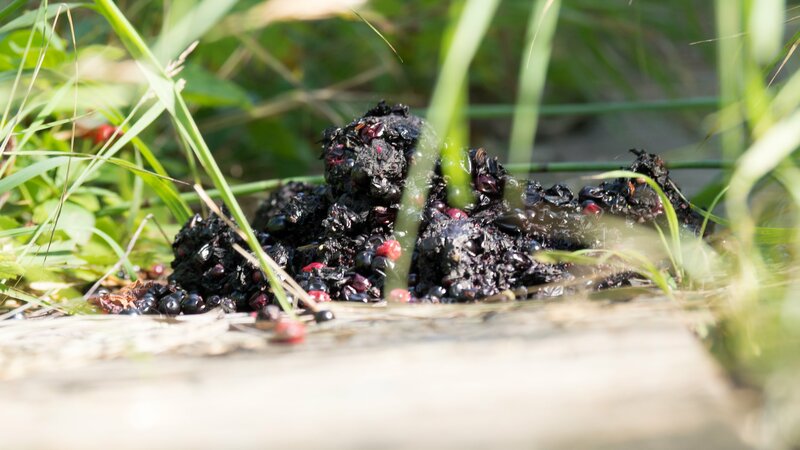 During my walk I foraged until my stomach told me “no more!”; I imagine I was at the 1/2 gallon point of blueberries and cranberries in my stomach. However, my blueberry findings only got better. After a time I started to walk down this steep draw to a river bed. The trickling stream I found at the bottom was filled with blueberry plants that were almost waist high and could have been bowing to the ground by the numbers of blueberries on them. I knew that I had to do some picking here soon ( that’s called foreshadowing… 🙂 ) and would be back. However, with no grouse in sight I headed back up the draw and found out that walking up moss covered hill sides is absolutely grueling! The best analogy I can think of is walking on a thermopedic mattress that’s 8 inches deep and doesn’t have a box spring to stop you at the bottom. Its like quick sand. The moss and lichen absorbed each step, much like I was wearing moon boots. Coupled with a 15 – 20 % grade and a 3/4 mile straight-up ascent I was beat when hit the ridge again. 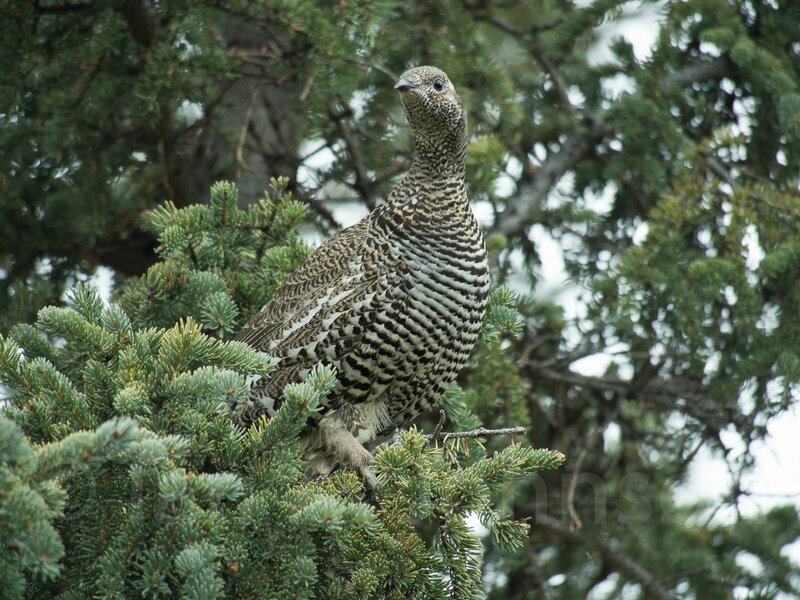 However, I was rewarded soon after with 2 spruce grouse, my first ever! Kill confirmed! 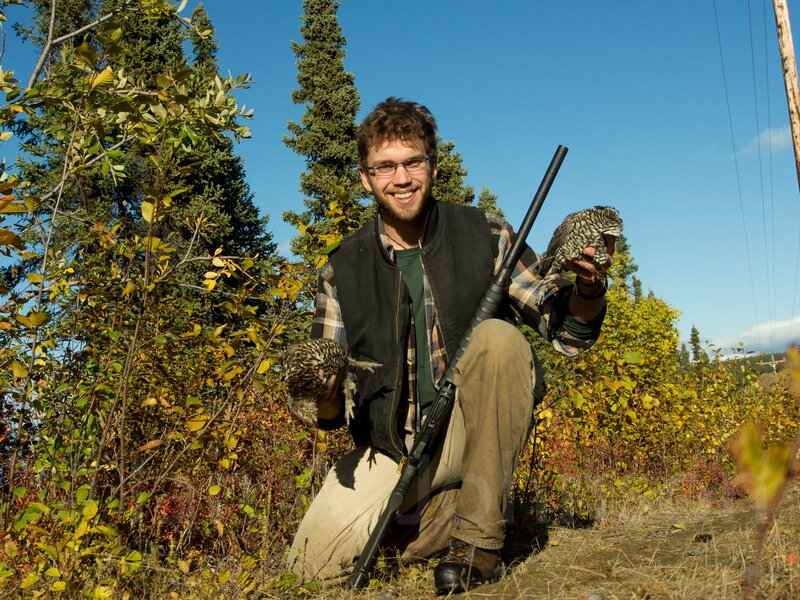 My first two wild game animals in AK, and my first 2 spruce grouse! After this I met up with a guy named Ross and we headed up to the top of Murphy Dome looking for Ptarmigan. Murphy dome was the highest point for miles around, and the view were truly incredible. We never did see any ptarmigan, but the hike and the day were incredible! Panoramic view from the top of Murphy Dome, Ross included. The mountains in the distance don’t show up well here, but trust me, they were pretty amazing! When the hunting is slow sometimes you start feeling a bit frisky. So, I did a little posing on top of this rock at Murphy Dome. If we didn’t get birds we got stylish instead! The next day I went back for the blueberries. 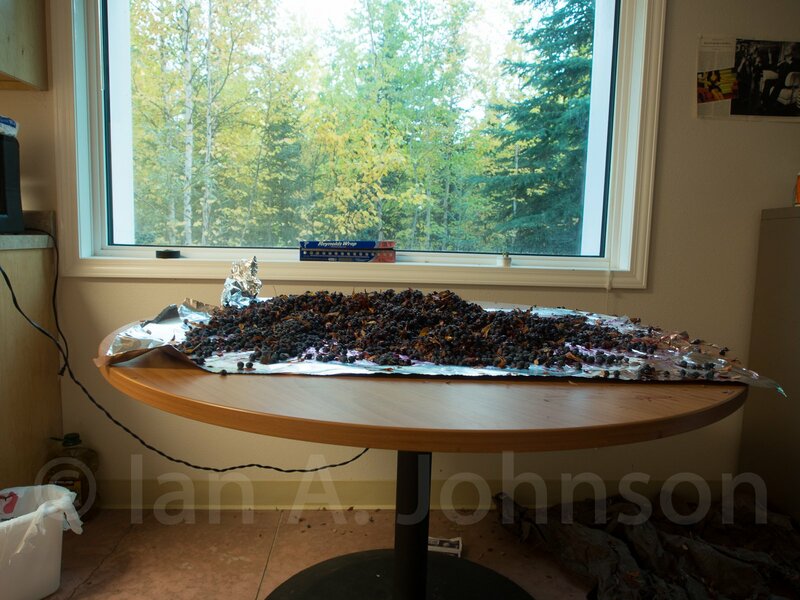 In a nutshell I was able to pick about 18 pints of blueberries in 1.75 hours! I have never, never,never seen wild blueberry picking like it was in this place. The berries were ready to fall off the bushes, so all you had to do was get your box under and shake the branches. The disadvantage of this technique was the sticks and leaves that fell into the box as well, however, by placing the blueberries in water when I got home they separated out perfectly as the blueberries sank and the sticks/leaves floated! I am looking forward to going back for more berries as this patch. Of course one of the challenges of this location is carrying 20lbs of blueberries in a box up thermopedic mattress hill. Challenge accepted! Blueberries Galore! This is an example of an average bush in this place (spot x for secrecy 😉 but come to AK and I’ll show you). I have never seen anything like it! 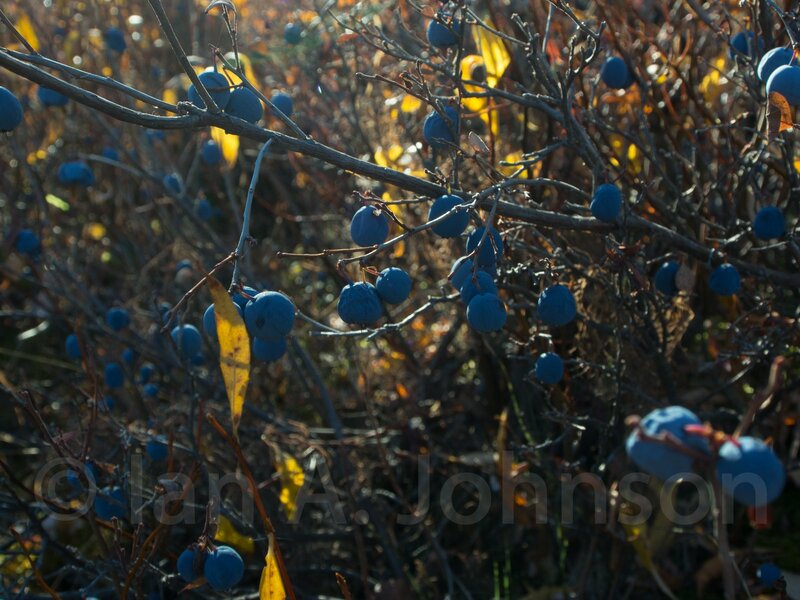 A nice little closeup of one of the blueberry bushes. The final haul! About 18 pints in just under 2 hours! That’s almost a winters supply or a lot of pies!! 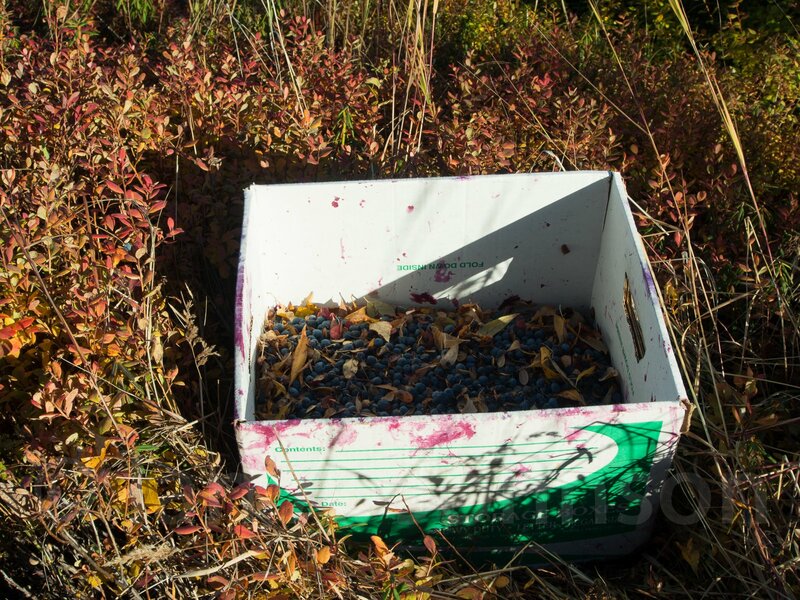 The final haul of blueberries spread out on the stable at the Sustainable Village. 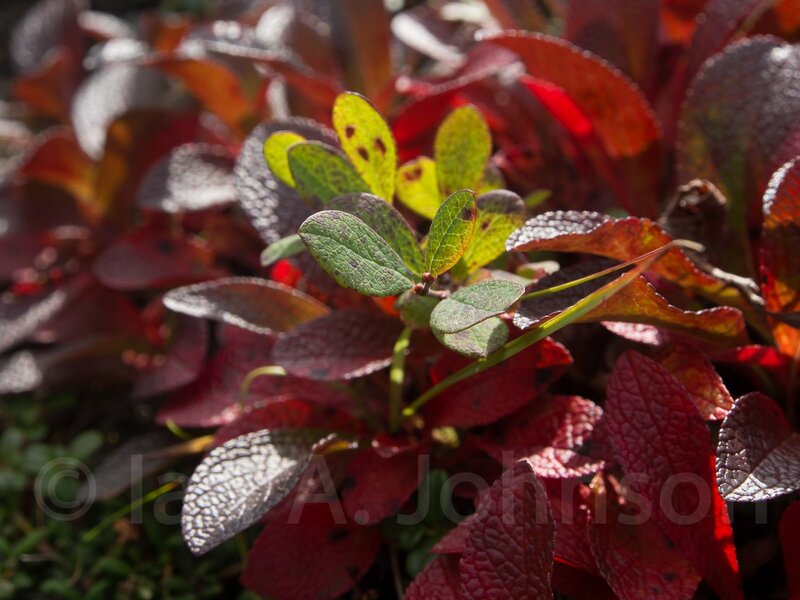 So readers, that’s a little bit about fall here in AK over the weekend! We have consistent frost at this time, and the ground is frozen in many of the low places. Currently it is dark at about 8:30 and light about 7:30, however we are losing an average of 7 minutes of light PER DAY, so ~50 minutes per week. It will not be long before our days are short and cold. Winter will be setting in soon! I hope to keep you updated as I continue to explore and learn about my region and AK in general!